﻿ Good local restaurants. Guest House Na Lednicke. Accommodation in apartments. Hlohovec, Moravia, Czech Republic. U Tlustých restauraceutlustych.cz is located very close to Lednice Castle. It is famous for ist premium-class food and service and is priced accordingly. The dining hall is separated by a glass wall from the indoor playground and the adults can enjoy their meal while keeping an eye on their kids playing safely. The restaurant is very popular and during the summer season reservations should be made in advance. Coffe House Liechtenstein in the coutyard of Valtice Castle is a pleasant non-expensive place to drop in for a coffe and desert. facebook.com/CafeLiechtenstein. Restaurant and wine cellar U Kaplíčky www.vinarstviukaplicky.cz outside Zaječí village is the most attractive, albeit pricey, restaurant in the neighborhood. It features a spacious open terrace with a vineyard view and a small playing area. The dimly-lit interior is decorated in rural style. The quisine is excellent and the service is enjoyably unhurried. 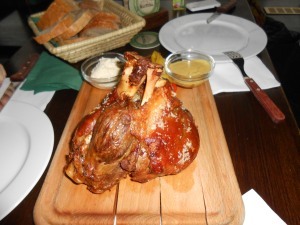 We can recommend combining a meal at U Kaplíčky with a visit to the nearby wine-maker Gotberg. Hotel Galant www.galant.cz in the centre of Mikulov features a restaurant of the same name. 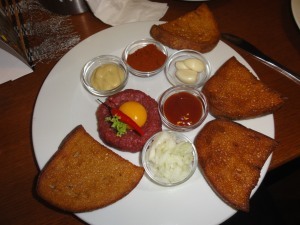 It is a spacious cosy restaurant with a focus on freshly-cooked Moravian and Austrian food. The children can play on the terrace while the adults are enjoying their meal. The restaurant has an extensive list of Moravian wines that can be ordered for tasting in sampling glasses. The value for money is outstanding. Templ www.templ.cz is also located in Mikulov. It specializes in the best local dishes and modern quisine. It is a small cosy place with a garden and a playground for children. Cafe Fara www.cafefara.cz in the village of Kletnice is the top-ranking local coffee house. It is ideal for a short stopover on the way from Mikulov to Palava. It features a Provencal terrace and offers delicious meals and desserts. For wine-tasting we suggest taking a turn to Tanzberg just after Mikulov (follow the signs along a narrow country road). Our village of Hlohovec can boast a historical restaurant Hraniční zámeček www.hranicnizamecek.cz with a spectacular lake view. The food quality varies from excellent to average, but the place is well worth visiting. You can appreciate ist reasonable prices and customer-friendly service. A lovely lakeside footpath will bring you there in under 20 minutes.